cool40 wrote: lets say a guy had some A460 heads with the stud boss unfinished or even welded some up,then remachined them down flat,like a prifiler or C460.the stands could then be flat and one piece.the ex stand has no cant on it,only the intake,where the stand and head go together.the intake stand could also be machined flat on bottom and reused.maybe even machine the "cant"on the bottom of the ex stand so the welding would'nt cause the two to work against each other.thats a long shot aint it! I dont see how that would change that actual angle of the valves...which the rockers would have to be aligned with...soooo. powerstrokeace wrote: So does that mean we no longer have to mill (shorten) the heads studs and in some case the nuts as well for the A460 stuff? No sir, you still have to shorten your A-460 heads studs and nuts. Go back through the entire thread and you'll see where I tried to explain, that ARP is the guilty party, because they are making the head studs too long. They have been doing this ever since they created the "internal wrenching" feature. If you did that to the heads, then you would rule out the option of ever running stud mounted rockers on those A-460 heads. Furthermore, IMO it would be much easier to just switch to a better head such as the FRPP C-460, or Pro-Filer heads. I can't think of any reason for going through all that trouble,,,, these new W.W. one piece rocker stands are going to be just fine. i dont see any problem with them now,just thinking out loud.lol.i hope mine will have an easy life with ti valves and mild cam. When installing the Jesel system on a B.B. 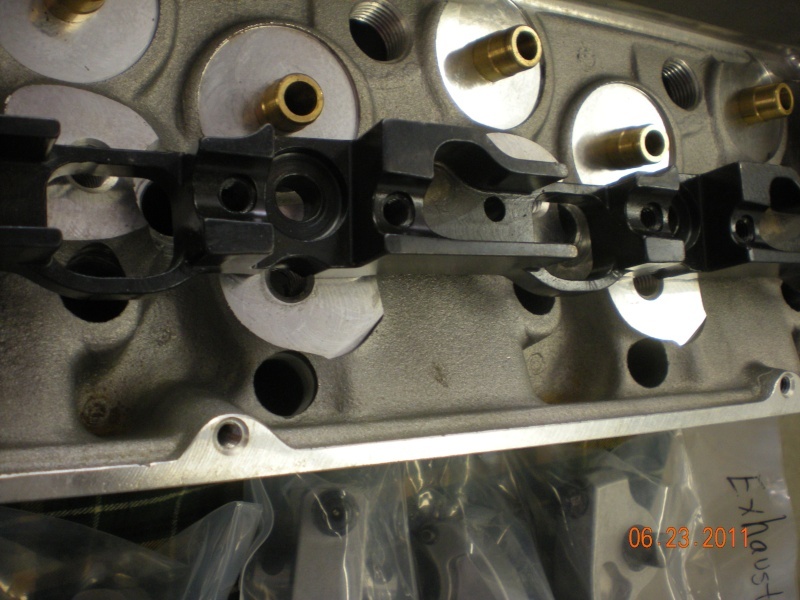 Chevy head, the intake side requires that the stud bosses be milled flat and parallel with the deck. The exhaust side still uses individual shaft rockers which flex all over the place; (relying entirely on the boss flat & the bolt which holds down the rocker stand to control the flex on that side). I have a Chevrolet customer which uses the shaft rockers on the intake side and studs with a girdle on the exhaust side because the Spintron testing shows that is the best way to go for him. EVERY situation will be a bit different. Nice information Charlie. Thanks for sharing. lookin good...but what is the weld for? 138 wrote: lookin good...but what is the weld for? blem head.got a hellofa deal on them tho!lol. i think the ex bolt hole got drilled little deep.IDT repaired it before i got them. i have a set of these rockers, and im still struggling to find some valve covers that fit properly. any body have a number that fits? 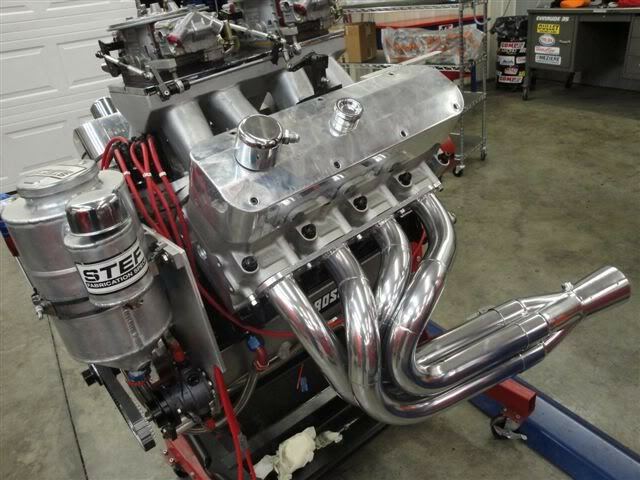 steven gregoire wrote: i have a set of these rockers, and im still struggling to find some valve covers that fit properly. any body have a number that fits? Deff nice looking covers. 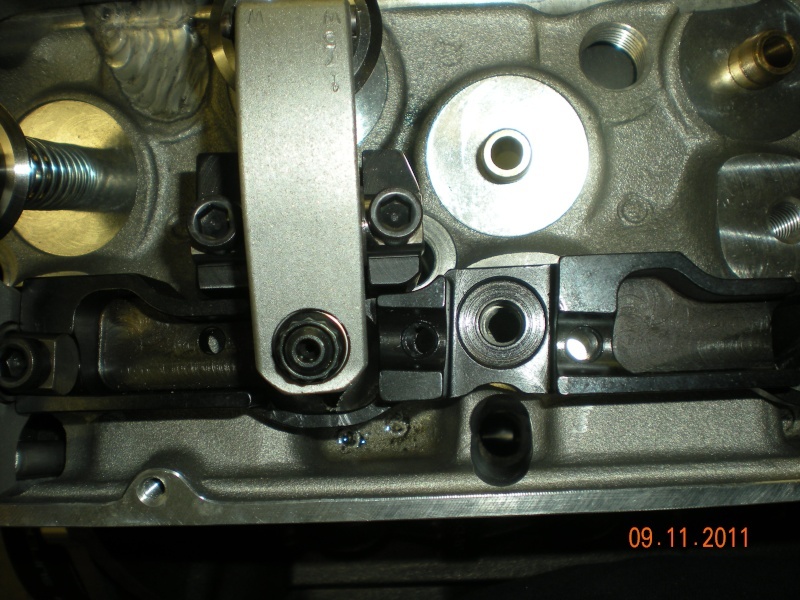 did they clear the exh valve spring thats close to that lower corner bolt? steven gregoire wrote: Deff nice looking covers. did they clear the exh valve spring thats close to that lower corner bolt? after i "worked"on them.lol you also need to notch the top rail for push rods. I have some polished, billet rail sheet metal valve covers that will work with them. I have used upwards of an inch of valve lift and over 1,000 lbs. of open valve spring pressure with STUD rocker mounting. Longer exhaust studs and deeper heli-coils on the exhaust side and a good girdle on top maybe was not needed however, absolutely no problems at all have arisen doing that. Finding some original 7/16" Ford guideplates was an original problem however, I think Trick Flow now is providing them, also. T&D one piece intake bar. Glad to see you got the T&D and I apologize for not seeing your PM for so long. I'm sure you'll be happy with the T&D. I'm running T&D now on both my 598" in the '87 Fox and 572" I'm finally finishing for the '71 Convertible. Both are stainless rockers, the fatigue life on aluminum is too unpredictable. 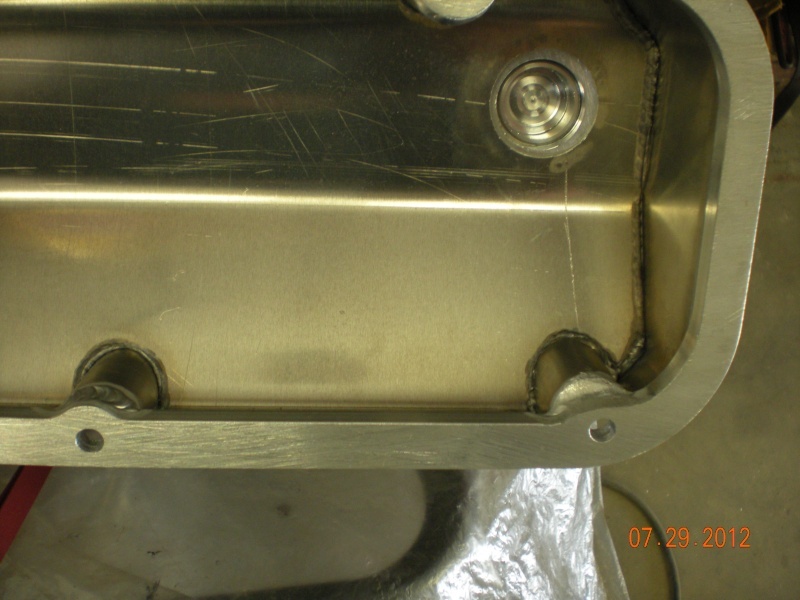 At a minimum I would tell folks to run stainless on thw exhaust side as a failure there messes up more than just the rocker as the intake openng event will break something as the intake tries to open against the cpatured cylinder pressure with no exhuast event. I'm really impressed with the T&D and the service they have provided in helping me evolve the combinations for more power and reliability. I have their spring oiling option, something that seemed risky with aluminum rockers, and valve spring life is measuarably better. They also stay amazingly consistent when I check the lash. Bill - what kind of cost upgrade is the steel over the aluminum rockers? windsor wrote: Bill - what kind of cost upgrade is the steel over the aluminum rockers? I spoke to Crower about their shaft system for A460 heads and while their aluminum is generally a bit pricier to begin with, their stainless steel rocker upgrade is only about $150 more, they told me. So, this is another option out there and everyone seems to like their stainless stud mounted rockers a whole lot. windsor wrote: I spoke to Crower about their shaft system for A460 heads and while their aluminum is generally a bit pricier to begin with, their stainless uograde is only about $150 more. Another option out there and everyone seems to like their stainless stud mounted rockers a whole lot. i always ran crower stud mount rockers and never had a problem.im sure their shaft setup is good quality also. What kinda $$ are they? 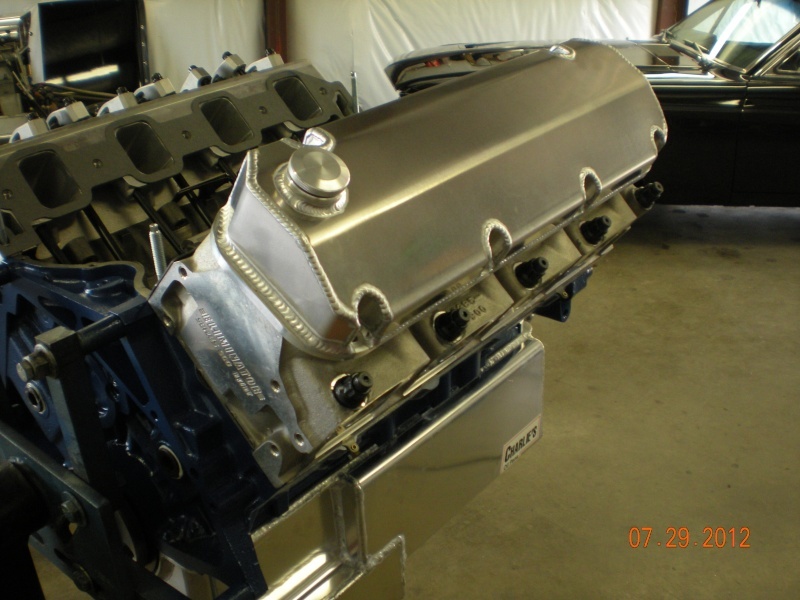 https://m.summitracing.com/parts/cro-75789 This lists the Motorsports version as $1529 in aluminum. https://m.summitracing.com/parts/cro-75750 $1549 for TFS A460 aluminum. In both of those listings you'll notice it says both versions have a one piece intake stand. I'll ask about that as well. That will solve a lot of valve train problems.